The age-old dilemma of finding appropriate warm-up pieces/studies for the symphonic band is now made much easier. No longer will bands need to play through a multitude of short, homorhythmic, single-textured four-part settings of chorales. Beyond the Chorale is a collection of 10 short, miniature concert pieces with a variety of styles, textures, timbral combinations, tonalities, rhythms, harmonies, and melodic material that transcend the traditional “warm-up” by offering many other pedagogical challenges that are guaranteed to raise the musicality of any band. This is the missing “bridge” between the daily regimented warm-up and the music that makes up our curriculum. These creative works and corresponding pedagogical content provide real-time application of principles that can be carried forward into rehearsal and performance, no matter the grade level. Beyond the Chorale is a collection of pieces so musically compelling that they easily serve multiple simultaneous functions, including warm-up, technique building, intonation enhancement, sight-reading, and much more. Enjoy…and profit. David Gillingham earned Bachelor and Master Degrees in Instrumental Music Education from the University of Wisconsin-Oshkosh and the PhD in Music Theory/Composition from Michigan State University. Dr. Gillingham has an international reputation for the works he has written for band and percussion. Many of these works are now considered standards in the repertoire. His commissioning schedule dates well into the first decade of the 21st century. His numerous awards include the 1981 DeMoulin Award for Concerto for Bass Trombone and Wind Ensemble and the 1990 International Barlow Competition (Brigham Young University) for Heroes, Lost and Fallen. Dr. Gillingham's works have been recorded by Klavier, Sony and Summit and Centaur. His works are regularly performed by nationally recognized ensembles including the Prague Radio Orchestra, Cincinnati Conservatory of Music Wind Ensemble, The University of Georgia Bands, North Texas University Wind Ensemble, Michigan State University Wind Ensemble, Oklahoma State Wind Ensemble, University of Oklahoma Wind Ensemble, Florida State Wind Ensemble, University of Florida (Miami) Wind Ensemble, University of Illinois Symphonic Band, Illinois State Wind Symphony, University of Minnesota Wind Ensemble, Indiana University Wind Ensemble and the University of Wisconsin Wind Ensemble. Also, nationally known artists, Fred Mills (Canadian Brass), Randall Hawes (Detroit Symphony) and Charles Vernon (Chicago Symphony Orchestra) have performed works by Dr. Gillingham. Over sixty of his works for band, choir, percussion, chamber ensembles, and solo instruments are published by C. Alan, Hal Leonard, Southern Music, Music for Percussion, Carl Fischer, MMB, T.U.B.A, I.T.A., and Dorn. Dr. Gillingham is a Professor of Music at Central Michigan University and the recipient of an Excellence in Teaching Award (1990), a Summer Fellowship (1991 a Research Professorship (1995), and the recently, the President's Research Investment Fund grant for his co-authorship of a proposal to establish an International Center for New Music at Central Michigan University. He is a member of ASCAP and has been receiving the ASCAP Standard Award for Composers of Concert Music since 1996. 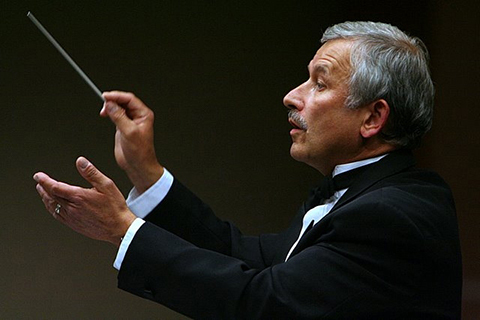 Fisher has a wide variety of experience and expertise as a conductor, arranger, clinician, and consultant. He has conducted extensively and lectured in 32 states along with international appearances in Thailand, Japan, China, Great Britain, Europe, Scandinavia, Canada, Greece, Brazil, Cuba and Russia. Fisher was appointed principal guest conductor of the Volga Band, Professional Wind Band in Saratov, Russia and has served in that capacity continuously since 2006. Fisher has recorded extensively on the Mark, Klavier, G.I.A. and Eurosound labels with the University of North Texas Symphonic Band and Wind Symphony. He is Co-Author of Teaching Music Through Performance in Beginning Band, Volume 2, and has been a contributing author of teaching guides for the series. He serves as recording and editing producer of the Teaching Music through Performance in Band series compact disc recordings, and producer of Volumes 1, 2 and 3 of the Master Conductor DVD series, published and distributed by G.I.A. Publications. 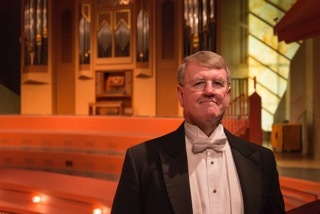 Fisher and the CD recordings of the UNT Symphonic Band have received entry inclusions for Grammy Awards over ten times. Additionally, he has been entered into nomination for classical recording producing more than six times. In 2008, Fisher was awarded the Gagarin Medal of Honor from the Society of Cosmonauts of the Russian Federal Space Agency. He has also been honored by being awarded the Meritorious Achievement Award from the Texas Bandmasters Association, for contributions to the field of music education and to bands. Other honors include twice being named “Top Prof” by the Mortarboard Society at U.N.T., a recipient of the University of North Texas Community Award, and named to Who’s Who in America. Kathy Johnson is in her ninth year at Argyle High School and 29th year of teaching. Her responsibilities include directing the high school Marching Band, Wind Ensemble and Symphonic Band, teaching the beginner flute class and overseeing the instrumental music program in both middle school and high school. Under the direction of Kathy Johnson, the Argyle High School Band was awarded the 2014 Texas Exemplary High School Band Program award, was 1st runner up in the 2014 Texas Honor Band competition, earned the honor of performing at the Texas Music Education Conference as the 3A State Honor Band in 2009, performed at the Midwest International Band and Orchestra Clinic in Chicago in 2007, and is the reigning Texas 3A State Marching Band Champion earning the distinction in 2008, 2010 and 2012. Both high school concert bands for which Mrs. Johnson is responsible consistently earn Superior and "Best in Class" awards at the various festivals they have attended. Prior to teaching at Argyle High School, Mrs. Johnson taught in the Lewisville Independent School District for 20 years. During her time in LISD, Mrs. Johnson taught at Griffin Middle School, Arbor Creek Middle School, and McKamy Middle School where here students consistently earned Superior Ratings and "Best in Class" Awards. Under her direction, the Griffin Symphonic Band advanced to the State Honor Band finals and placed 5th and 4th respectively in both 1986 and 1988. While she was Director of Bands at McKamy Middle School, Mrs. Johnson had the distinct honor of conducting the McKamy Honor Winds at the Texas Music Educators Conference as the 2001 Class CC Honor Band and in Chicago at the 2001 Midwest International Band and Orchestra Clinic. Mrs. Johnson also served as Fine Arts Department Head for McKamy Middle School. In addition to teaching, Mrs. Johnson has played flute in the Dallas Wind Symphony for the past 30 years and also performed with the Camerata Chamber Winds. She is an active clinician and adjudicator in the metroplex area and teaches at several summer band camps throughout the state of Texas. Mrs. Johnson is also a Yamaha Artist and was a contributor in the development of the Tonal Energy Tuner application for iPad and iPhone; one of the most widely used applications in the country. Currently, she is co-authoring a method development book for band that is in pre-publication. Mrs. Johnson attended The University of North Texas, where she received both her Bachelors and Masters Degrees in Music Education. While there, she studied flute under Dr. George Morey and Dr. Mary Karen Clardy. 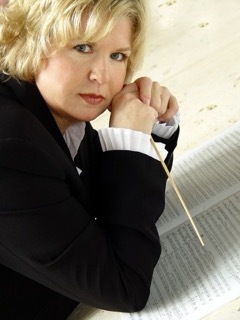 Mrs. Johnson's professional affiliations include Phi Beta Mu, the Texas Music Educators Association, Texas Bandmasters Association, Women Band Directors International, the Association of Texas Small School Bands, and the Texas Music Adjudicators Association. In addition, she has had the honor of serving on the UIL Technical Advisory Committee and holds offices in several of the aforementioned professional associations. Mrs. Johnson resides in Flower Mound with husband Eric.